PowerCompare.co.nz (hereinafter referred to as Power Compare) is an independent power and electricity comparison website for New Zealand. The content on Power Compare is provided "as is" and is for general information purposes only. In no way does the content on Power Compare constitute advice nor does any part of the content constitute an open offer capable of forming the basis of a contract with Power Compare or any of the power companies listed. Power Compare makes best endeavours to ensure the information on the Power Compare website is accurate and up to date, however, Power Compare does not warrant or guarantee that anything written here is 100% accurate, timely, or relevant to the solution of any problem Power Compare website visitors may have. To the extent permitted by law, Power Compare disclaims any and all warranties, expressed or implied, including those of merchantable quality or fitness for a particular purpose, with respect to the publication of the content on the Power Compare website. Power Compare may at times include statements, opinions or views of third party companies or individuals and while Power Compare may refer to certain power companies, power plans or services by name, it does not constitute an endorsement by Power Compare. Power Compare denies any and all liability or responsibility for any errors, inaccuracies, omissions, misleading or defamatory content. Most Power companies in New Zealand include caveats around certain circumstances - some commonly used terminology includes ‘Free Connection’ or ‘Fixed pricing’ – these terms relate to the specific terms detailed by each individual power company. Be sure to check full terms on supplier sites when signing up. Product names, logos, brands and other trademarks referred to in the Power Compare website are the property of their respective trademark holders. These trademark holders may or may not be affiliated or associated with Power Compare or our website and they do not sponsor or endorse our materials or website. Power Compare specifically excludes liability for any loss or damage no matter how arising from the use of this website or of any information or services provided through this website. Power Compare reserves the right to update, amend or change the content of this website without notice. Power Compare collates information from NZ Power company websites on a regular basis but some power plans may no longer be available due to the constantly changing nature of the utilities market in New Zealand. We will endeavour to keep the Power Compare comparison table as up to date as possible. 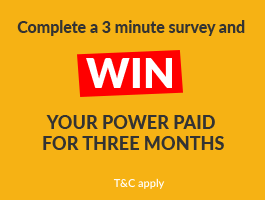 If you do come across a power plan or introductory power offer which is no longer available please contact us via hello@PowerCompare.co.nz and we will investigate and update as soon as possible.